Angistri island is protected from Athens by Aegina and is, as it happens, actually nearer to ancient Epidaurus than is Nauplion as the crow flies, but of course the journey is wetter and you are probably not a crow: local agents arrange trips to the festival during the Jul/Aug season with excursion/ taxi-boats linking Angistri to New Epidaurus. For a fee. 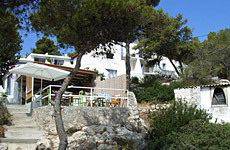 Angistri claims to be the most densely pine-covered island in Greece. It is surprisingly peaceful (except along the north coast on summer weekends) considering its proximity to Piraeus. It’s a place which the Greeks have so far managed to keep almost secret from foreign tourism. Two ports just a few km apart on the north coast see frequent ferries and hydrofoils from Piraeus (direct or via Aegina); the first, Skala, is neither historic nor particularly charming, though the village of Metochi perched above it is a delight. 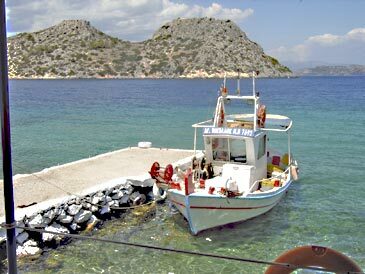 The second port, Megalochori, is older and rather attractive. You can rent a mountain bike or hire a scooter if you want to explore the island. And what a rewarding experience that is! 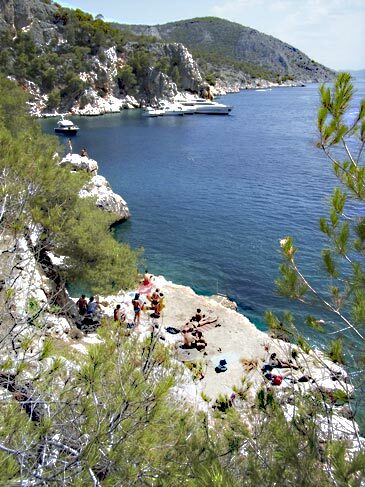 The scenery and views as you take the island’s only road to the south are fabulous. 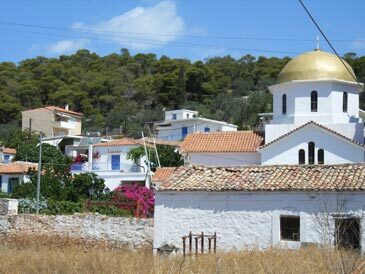 Head for Limenaria (technically the island capital), stopping just before you reach it to take in the glorious view across to neighbouring Methana, that forbidding pile of mountain which stands between you and Poros. From Limenaria clamber down the steep path for some idyllic rock-bathing at Mariza before lunch either at Limenaria’s taverna or at the nearby west coast beach of Aponissos, one of the most idyllically set tavernas we have ever come across. After all that, the only thing left is to dine in the lovely old village of Metochi and enjoy the sunset and view from a roof terrace. Simple, but attractive, accommodation, many rooms having sea view. Steps lead down into the sea so that you can swim before walking back up them to the breakfast terrace. Lovely setting with view across to Aegina.